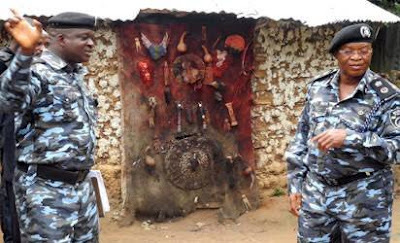 It was gathered that the cleric was reported to have told his congregation that he had a revelation to destroy all the shrines in Ketu community. After being found transfixed in the shrine, residents of the area raised the alarm, following which custodians of the shrines came to the place. “The command got the report at its division in Ayetoro that one Evangelist Wale Fagbere went to Ketu to destroy traditional worshippers’ shrines. After the destruction, the man became motionless and could not talk.